CJ E&M have today announced the launch of Justice League: Earth’s Final Defense, a classic beat-em-up action RPG featuring Superman, Batman, Wonder Woman, Green Lantern and the Flash, on iOS devices. Each hero in Justice League: Earth’s Final Defens has six active and six passive skills allowing powerful combo attacks, faithfully reproduced in the game including: Superman’s Heat Vision, Batman’s special gadgets, Wonder Woman’s Golden Lasso of Truth, among others. In addition to Super Heroes, the game also features villains -Lex Luthor, the Joker, Ares, Killer Croc, Sinestro, and Gorilla Grodd. 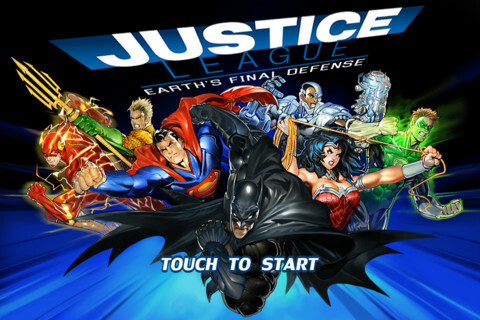 Justice League: Earth’s Final Defense is available on the App Store for $4.99 both to iPhone and iPad. Those who will purchase the game until Aug 7th 2012, will be able to pick Justice League: Earth’s Final Defense for $2.99.